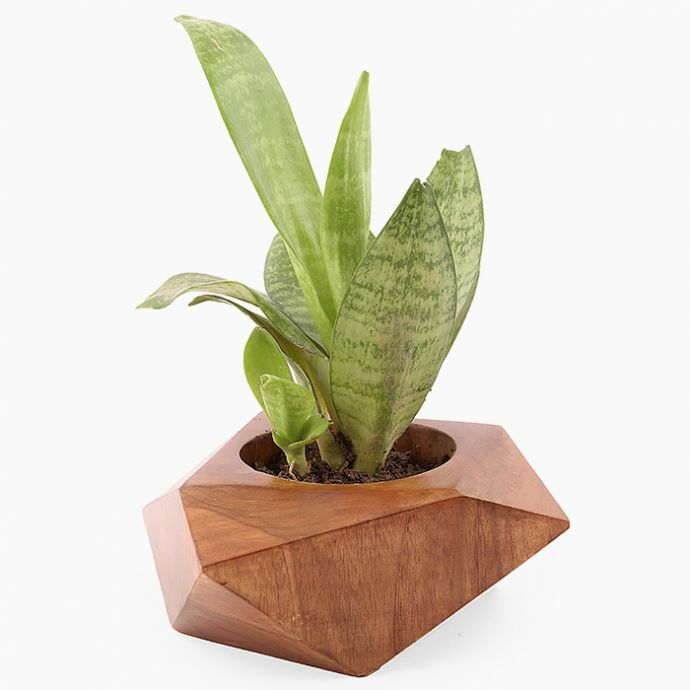 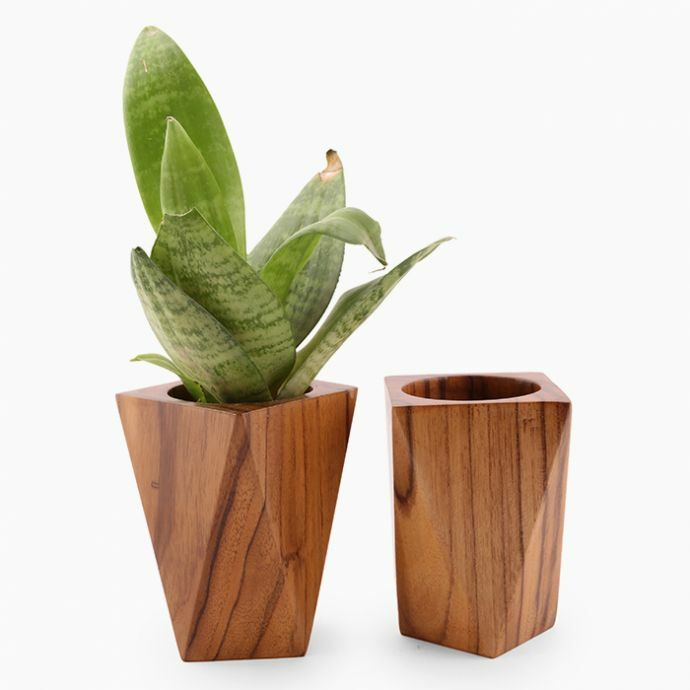 A faceted planter dexterously sculpted from wood, this piece is perfectly suited to sit on a plain window sill or on a rustic tabletop. 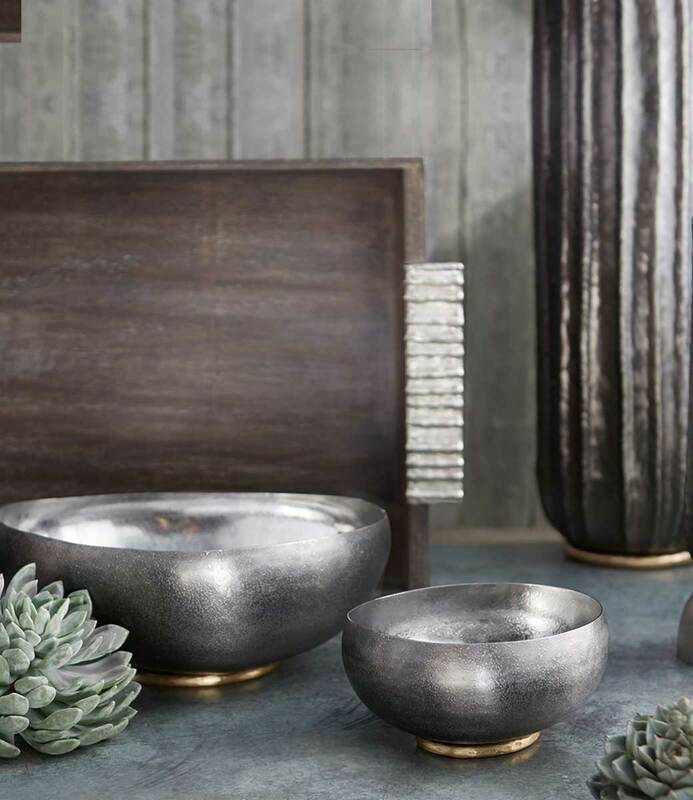 Established in 2015 with a passion to experiment with form and material, Objectry creates products with the intention of making basics interesting. 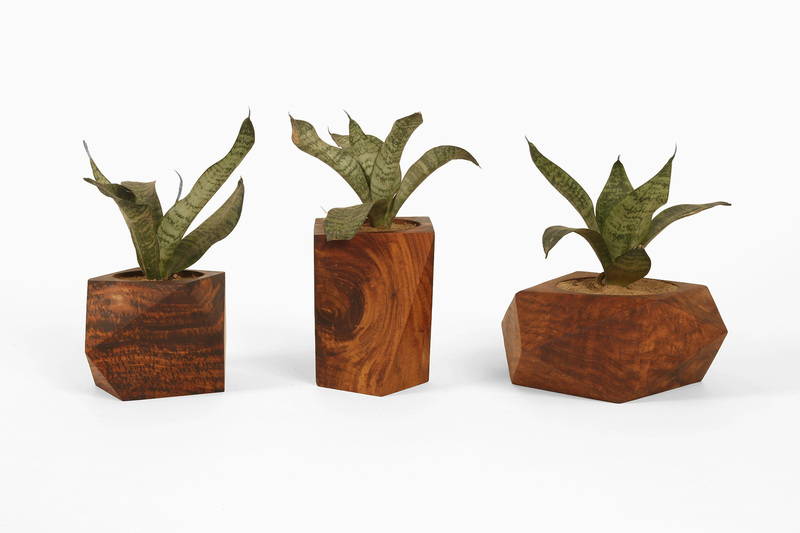 The design duo of Sugandh and Aanchal currently focuses on wood to shape their designs, backed by a team of competent artisans and traditional craftsmen. 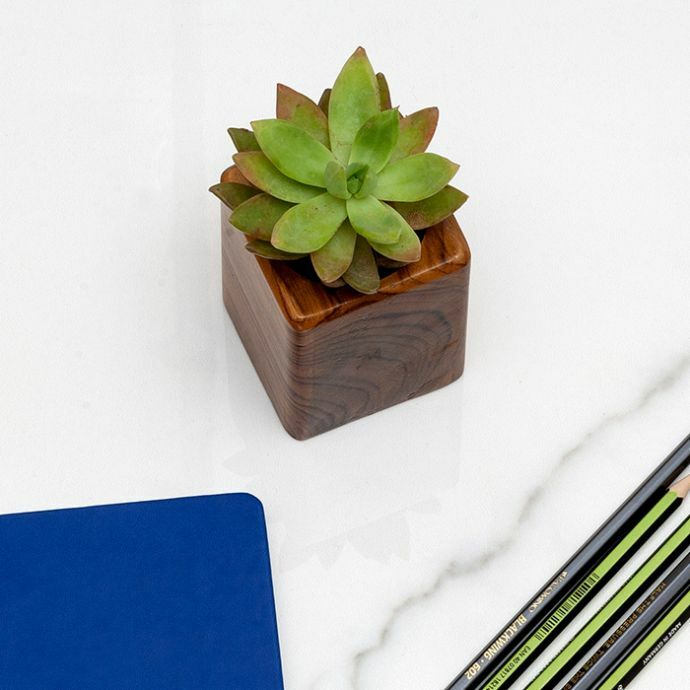 Drawing inspiration from modern art, architecture and more, they plan to explore other mediums in the future such as furniture and lighting.